The trip will include a visit to a site of Chernozem (Mollisol) and fascinating tourist attractions of the Northern Black Sea Coast. The price includes: transportation, English-speaking tour guide and entrance fees for the tourist visits, local representatives for the professional site visit, lunch box, Field Trip flyer, Folk-style dinner. Pre-registration is required no later than 1 September 2018. Field trip must be selected and paid for on conference pre-registration. No onsite field trip registration will be offered. The scientific field trip will take place on 19 September 2018 in the area close to the town of Kavarna, situated on the picturesque Black Sea Coast. Participants and experts will also focus in creative discussion on "opportunities and limitations for soil organic carbon sequestration in native and cultivated ecosystems" along with cultural program on the trip. During the trip we will look at differently formed automorphous soils in intensively and extensively used agricultural lands of Southern Dobrudzha in Bulgaria where the most widely found are Chernozems. In Dobrudzha plateau, the main soil-forming rocks are the loess, rocky (Sarmatian marls as well as chalks) revelations near the Black Sea Coast, carbonate materials, conglomerates and sandstone, and in the lowlands delluvial (colluvial) mantle. In Dobrudzha, there is the last large and relatively well preserved Ponto-Sarmatian steppes natural habitat. 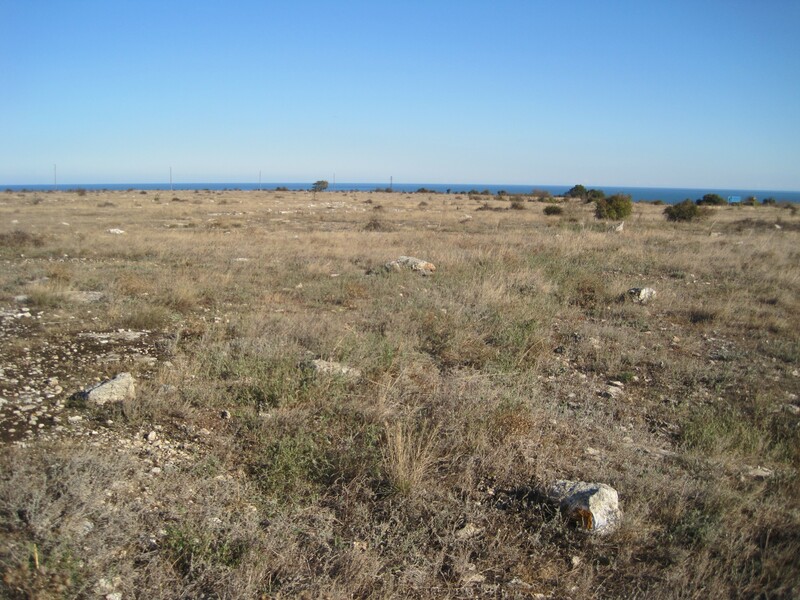 The dry grass habitat with plant species adapted to shallow and stony soils combined with the specific climate and relief. On the territory of the European Union Ponto-Sarmatian steppes are found only in the Bulgarian and Romanian parts along the Northern Black Sea Coast and in the internal part of the South Dobrudzha (North-Eastern Bulgaria). Steppe habitats are very sensitive to human activity and can easily be destroyed by plowing or digging because it allows the entry of weed vegetation and the restoration of the original species complex is an extremely difficult and long process without guarantees of success. The Palace was a summer residence of Maria Alexandrina Victoria de Edinburgh (1875–1938), Queen of Romania, is situated about 2 km to the South-West of Balchik, in a picturesque locality between the white coastal cliffs and the sea. The palace and the surrounding park have the official status of a cultural monument of architecture and gardening. As a follower of the Bahai religious teaching, Mary believed in the equality of all people and religions so everything in the royal residence is created with attention to detail in a way that fits into the natural environment. The highlights of the park are the beautiful terraces along the steep sea shore crossed with a system of stone channels through which the water from two natural springs runs down in numerous cascades and flows into water tables. The park was designed by the Swiss master gardener Jules Janin. Several decades ago, the Sofia University St. Kliment Ohridsky” established the Botanical garden in this place. Nowadays over 2000 plant species from 85 families and 800 genera are grown here. The garden is famous with its unique collection of large-sized cacti, second only to the collection in Monaco. The cacti and the collection of 600 succulent plants, some of which are flowering only once in 100 years, are exhibited in an open area of 0.1 ha from April till October. The water lilies and the magnolia are among the finest flowers in the garden, as well as the magnificent design of the rosarium. 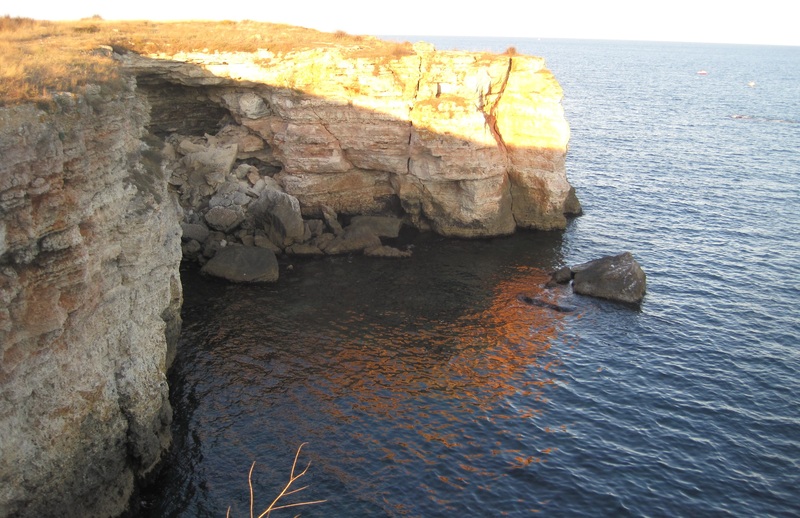 Kaliakra is a natural and archaeological reserve. It expands on an area of 68.75 ha. The cape is an elongated narrow peninsula protruding some 2 km into the sea. Due to the rich local history, the original nature and the great panoramic view, it is one of the most popular tourist destinations. 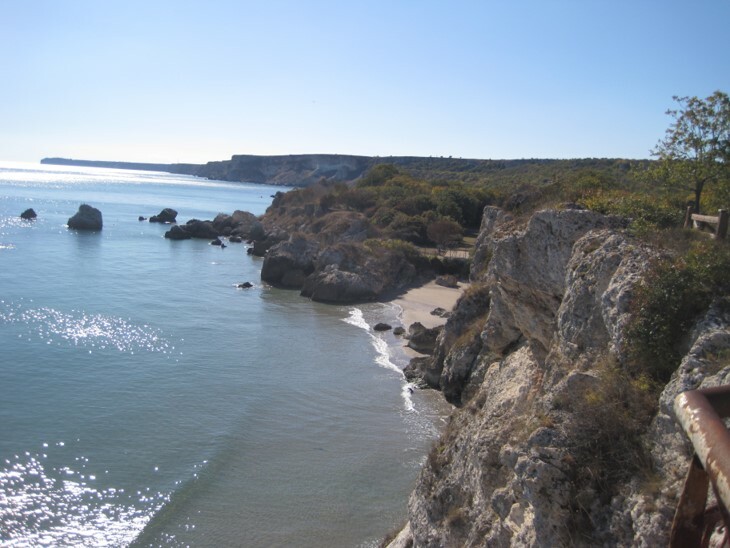 The slopes of cape Kaliakra run down to the sea from a height of 60-70 m. The name Kaliakra (meaning “beautiful cape”) was first mentioned during the 13th – 14th century AD. The first evidence of settlers on the cape dates back to the 4th century BC, when the region was inhabited by the Thirisians, a Thracian tribe, which probably gave the original name of the settlement – Thirisis. In the 15th century Kaliakra developed into a large international harbor. Nowadays the remains from fortifications are 2 m high and 440 m long. During archaeological excavations in this place, several medieval churches were also discovered. The entire region around the cape is very important during the seasonal migration of the birds because it is a part of Via Pontica, the second large migration route of birds in Europe. Dolphins can be occasionally seen in the sea waters surrounding the cape. There are many legends connected with this place. The most popular of them tells the story of forty Bulgarian maids, who, lead by the beauty Kaliakra, jumped from the cliffs in the sea to escape from the Ottoman invaders who were chasing them. Yailata is a large rocky terrace 10-15 m above the sea level, at approximately the same distance below the continental level. 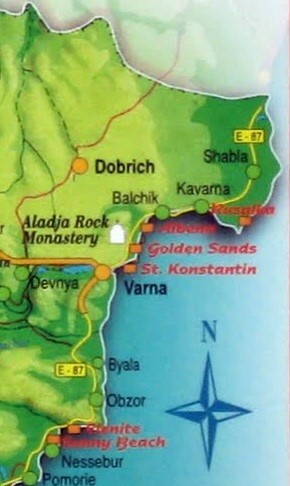 In the northern part near the Kamen bryag village there is a sanctuary refers to the 6th – 5th century BC. In the Yailata locality, a “cave city” consisting of 101 habitations – natural caves remodeled by human hand, has been discovered and dated to the 5th millennium B.C. (Neolithic to Late Antiquity period). The cave habitations are distributed on several levels in the rocks and were used for several millennia. In the northern part of Yailata, there is a partially preserved Early Byzantine fortress, with ruins of 4 towers and a gate. The variable archaeological material found there. As most of the settlements in Dobrudzha, this one was destroyed several times during centuries. Since the last one by the semi-nomadic Pechenegs tribe in the mid-11th century the settlement was abandoned entirely. Аfter the 11th century the cave complex was used as a place transformed into monastic cells and tabernacles. The most noteworthy among these tabernacles is “Clisse Maara” or “St. Constantine and Helena”. The numerous crosses in the three rooms and the proto Bulgarian runic sign in the second compartment of the cave testify that in the early Middle Ages this place functioned as a Christian temple at least by the end of the 11th century. Bivaka picnic place is situated near Kavarna town, inside a picturesque forest. You will be greeted at the threshold by young people in traditional folk costumes – the lasses will offer you fresh bread and salt, and the lads – aromatic grape drink. The chef will cook for you traditional Bulgarian dishes, and the wine will be poured directly from the wooden barrels. The original folklore program will dip you into the magic of the Bulgarian national dancing – you will enjoy the slow heavy rhythm of the harvesters’ dances typical for Dobrudzha region. You will be enchanted by the bells of Kukeri – the masked dancers who exorcise the evil spirits, and by the mysticism of Nestinari – the dancers who tread on burning embers barefooted under the music of the pipe.